Yamaha Motor Corporation, U.S.A. (YMUS), Cypress, CA, carries America’s most diversified line of motorsports products, including motorcycles, outboard motors, ATVs, side x side vehicles, personal watercraft, snowmobiles, boats, power equipment and much more, sold through 4000+ dealers nationwide. There’s not much going on in public out there right now, at least not like there was when four-time AMA Supercross Champion Jeremy McGrath dropped the all-time off-season bomb on everyone when he announced on December 27, 1996, that he was leaving Team Honda for a self-sponsored Suzuki deal via his new company Nac-Nac Enterprises. That was an earth-shaking, game-changing development—the ultimate December surprise. Suzuki had not won the AMA Supercross title since 1981, and the thought that the King of Supercross was going there from the High Castle of Team Honda, which was on a ten-year winning streak was just crazy, even more so because the first race was in three weeks! A few years later, in early December 2003, Ricky Carmichael’s camp announced that after three straight AMA Supercross Championships, he had gone down while practice SX whoops and after a week of conferring with doctors, he had made the difficult decision to sit out the 2004 AMA Supercross Championships, abdicating his title. That would also have long-last effects in that Honda and Carmichael would not reach terms on a contract renewal the following spring, he would sign with Suzuki, and then in 2005 he would win the brand that title it tried to get in 1997 with McGrath. Ironically, it would be the last AMA Supercross title won on a two-stroke, as RC was still on an RM250. 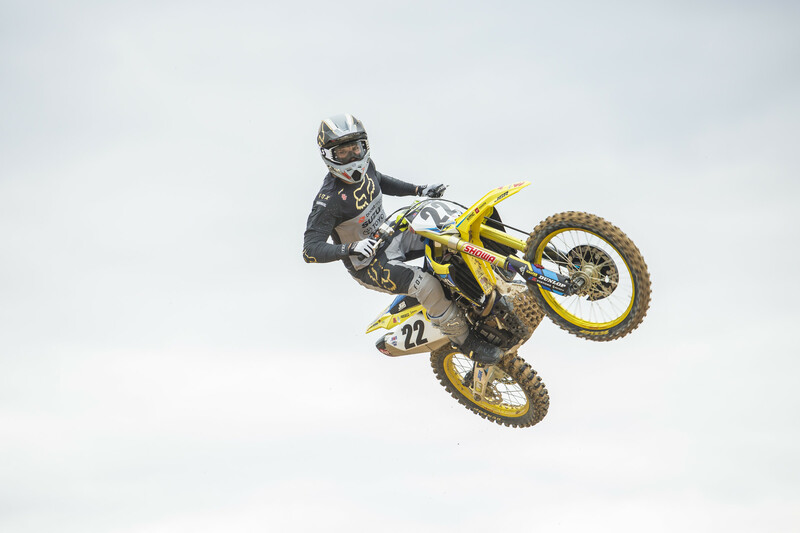 Chad Reed, the eventual ’04 and ’08 champion, signing with JGRMX/Yoshimura Suzuki last week was a very cool development, but it didn’t quite rise to the level of the McGrath/Carmichael news of previous decades. Nor did Travis Pastrana doing that gnarly, crazy crash out at Castillo Ranch right before the end of the year in 2002. Anyway, Emig snapped both wrists that last day of ‘99, dashing the hopes he had for a comeback with his own team. So he turned his attentions to the 2000 AMA Motocross Championship, but then we had a May surprise when he crashed at Glen Helen and snapped his leg, broke his back, and had to call it a career. So is there a December surprise yet to come? Or has it already maybe happened, but we just don’t know about it yet? That seems highly unlikely, given the small fishbowls our athletes now live in where social media makes it hard to keep anything a secret… Unless you are way, way off the grid. We’ve seen comments and heard whispers that Monster Energy Kawasaki’s Eli Tomac may have suffered some kind of minor setback, but according to the Cycle News interview that our man Eric Johnson just did with him, it sounds like he’s more than ready to go. 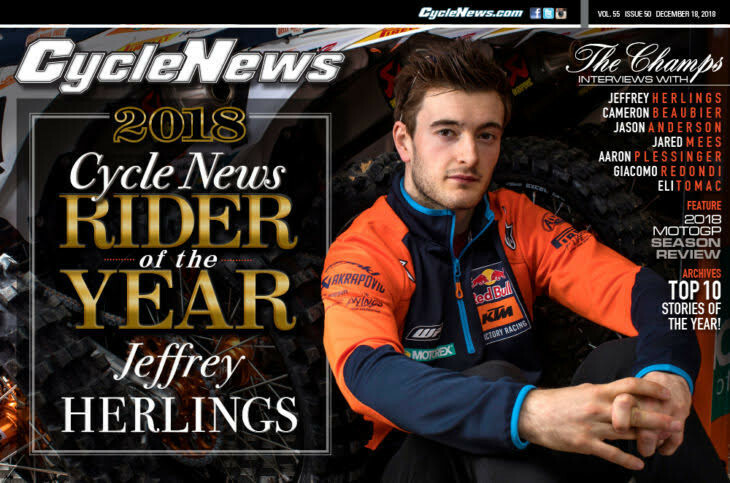 And speaking of Cycle News, they just named FIM Motocross World Champion Jeffrey Herlings as their 2018 Rider of the Year, and that’s hard to argue with—Racer X Illustrated did likewise! But what is a surprise is the realization that this is the first time since 1982, when 500ccc World Champ Brad Lackey and 250cc World Champ Danny LaPorte were named co-Riders of the Year, that an FIM Motocross World Champion got the nod. 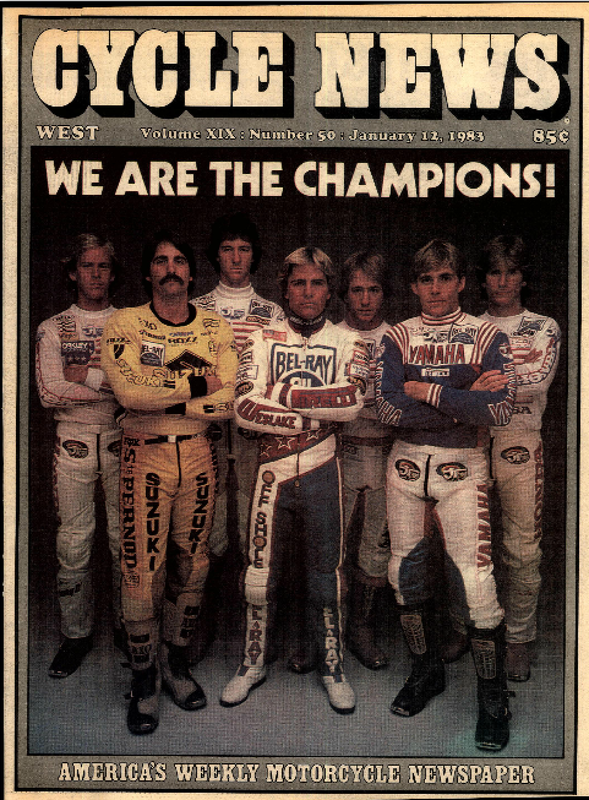 And Herlings is the first to win it all alone, because back in 1982 Lackey and LaPorte also shared the honors with Team USA’s Danny “Magoo” Chandler, David Bailey, Johnny O’Mara, and Jim Gibson, and FIM World Speedway Champion Bruce Penhall. will see something we’ve never seen before to start an AMA Supercross Championship: the premier class #1 plate on a Husqvarna, courtesy of Jason Anderson. Have a safe and Happy New Year’s, here’s Racerhead. The family of ten-time FIM Motocross World Champion Stefan Everts released a positive update regarding his battle with malaria earlier this week. Everts, who was hospitalized earlier this month after contracting the mosquito-borne disease at a charity event in the Democratic Republic of Congo, remains at the University Hospital of Leuven in Belgium, but has begun his physical rehabilitation. According to the family, tests have revealed that Everts did not suffer any damage to his brain or organs. His release from intensive care and rehabilitation has yet to be determined. The family will release more details once they are known. Below is the full update. 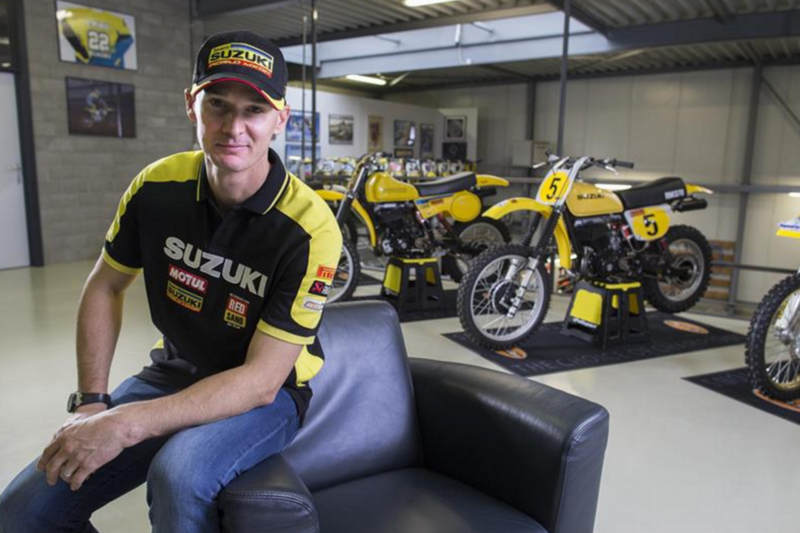 "Everts started with his [physical] rehabilitation yesterday. Compared to the worrying condition of a few weeks ago, he's already doing much better. Although he is still in the intensive care of the UZ in Leuven, he is already getting out of bed and can already walk a little. After a charity in the Congo in mid-November, the legend had suffered an aggressive form of malaria. The state of health of Everts had deteriorated so much that he was in danger for a long time. However, studies last week showed that neither his brain nor his organs suffered permanent damage due to the malaria attack. About the duration of his stay on intensive care and his rehabilitation is not yet certain. "Everts realizes after a good conversation with the professors in Leuven that he escaped the worst. ‘That I'm still here is my most beautiful Christmas present,' let him know. Stefan and his family want to thank all the people for the huge support they got in the last few weeks and wish everyone a Merry Christmas and a Happy New Year. In new developments, the family—who is now looking to focus on Stefan's rehabilitation—will again communicate through a press release." In related Everts news, Stefan's son Liam, 14, just signed an extended development deal with KTM that will take him from 80s to 125s and ultimately 250Fs. Liam finished third in his class in the 2018 FIM Junior World Championships and could very well be the third generation of Everts to at least reach the Grand Prix level, as his grandfather Harry is a four-time FIM World Champion as well. You wanna argue with us? Or maybe you just want to watch JT and Matthes argue in person? 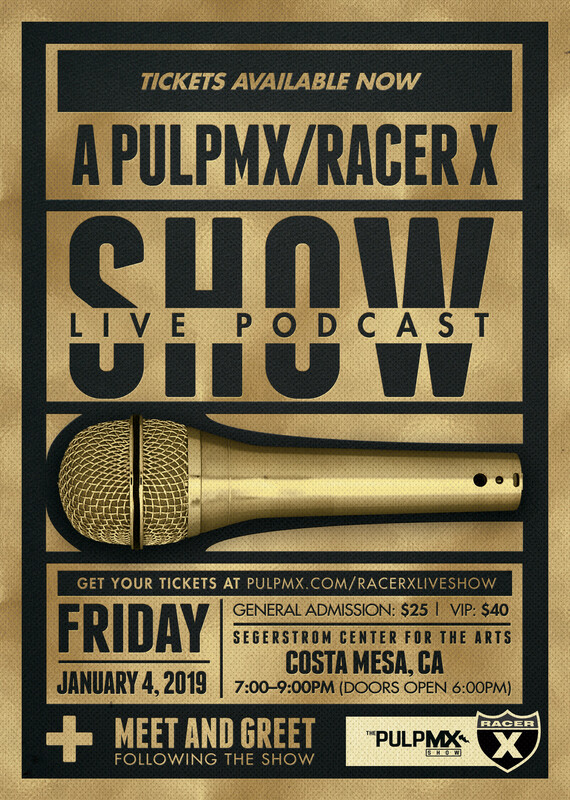 We are taking the PulpMX/Racer X Show, live on Friday, January 4 (the night before Anaheim 1) in Costa Mesa, California, at Segerstrom Center for the Arts. We'll have all the usual characters assembled from both the PulpMX Show and our Racer X Race Review podcasts. You know em: Steve Matthes, Jason Weigandt, Jason Thomas, Kris Keefer, and more. Plus, since this is the night before A1, we're expecting guests to show up. We did a live show like this before Monster Energy Cup in Las Vegas and it was a hit. So if you're in the Anaheim area for A1, come bench race with us in person. A limited number of tickets start at $25, with VIP tickets $45. You can purchase tickets here. Doors will open at 6:00 p.m. on Friday, with the show starting at 7:00 p.m. The show will end at 9:00 p.m. If you're a true privateer and want to race the Florida National on June 22nd at WW, we have a place for you, should you need support. We have two spare rooms, a private bathroom, private practice track, and North Florida MX (3 miles from here). We also have a 30 amp hook up for your camper - should you so desire. We will charge you nothing and provide meals, showers, clothes, washing machines, etc. As I said above, there are two spare bedrooms. In one, there's a queen bed for a couple. In the other is a futon for your mechanic or friend. PM here if you're interested. We are located about forty minutes from WW... No, we're not serial killers or twisted freaks - just quiet folks that love moto and love to support the backbone of pro racing - privateers. 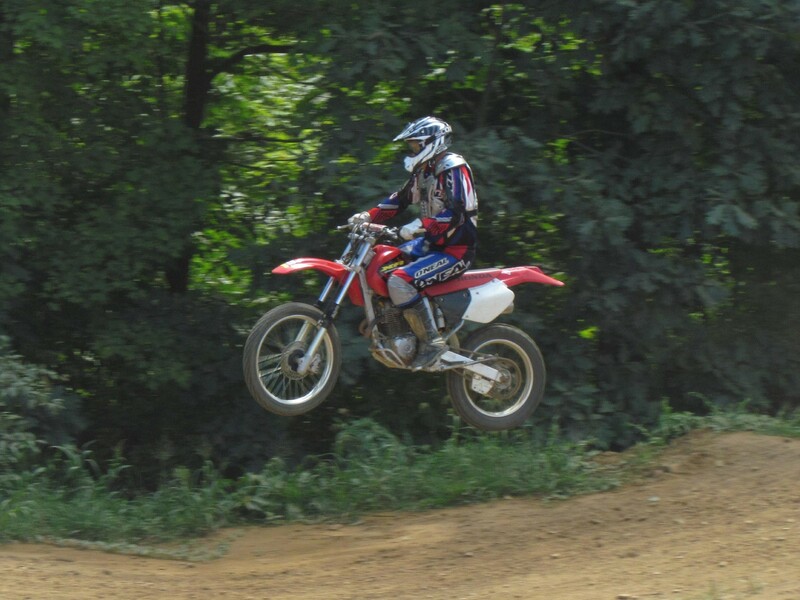 Although I am new to the Racer X Illustrated staff, I have been around motocross my entire life. After my dad’s oldest brother got his siblings into the sport, my father passed his love of riding onto my brother Jake and I. My brother raced on and off for years, but we have been riding recreationally at home and tracks within reach all of our lives. We always watched—and still watch—as many races as we could. Every year we head to Mount Morris for the High Point National, and we dreamed of being in their shoes (or boots, if you will). 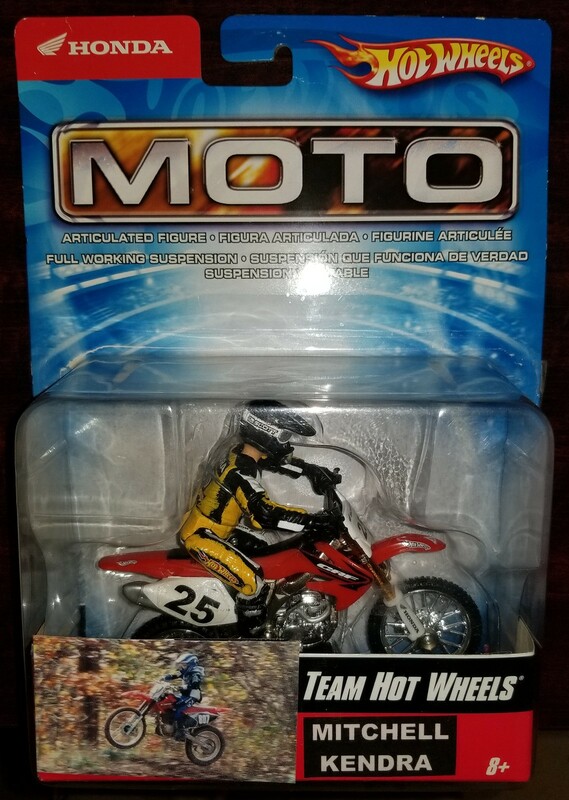 Like I’m sure a lot of motocross fans out there, as a young kid I had my motocross action figures that made their way through my room, house, and yard—I always had to wash off my Jeff Emig toy after sending him through the dusty, dirty yard before I was allowed to bring him inside. Upon opening this gift, I was in a state of amazement. It was an action figure of me. I could now feel like I was a professional athlete, even if I wasn’t. But then I realized that there was something obviously wrong about my action figure—while I had had blue riding gear for several years (and in the photographs featured on the box) Jake had decided to paint me with yellow gear. As I turned to question him, my family yells out “Merry Christmas!” as they hand me the toy’s accompanying gift, a new set of yellow riding gear! 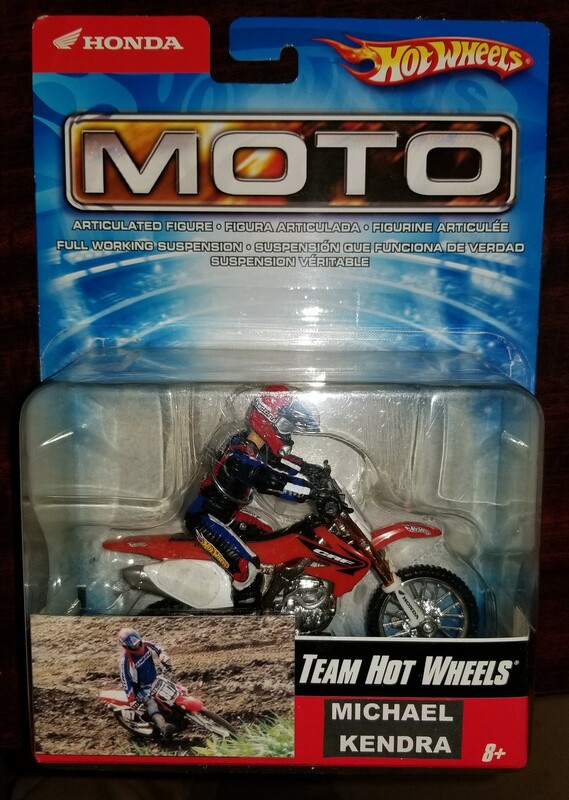 I have had over 10 years of Christmas gifts since then, but this Mitchell Kendra Hot Wheels Moto toy ranks atop everything I have ever received. That’s all for this week. Thanks for reading Racerhead. See you at the races.